How to sell on Fiverr? It is the most hectic trauma for every new freelancer on Fiverr. In fact, Many have had several years on Fiverr but could not get any sales. Unfortunately, you are at the right place to change your views towards Fiverr. I was the same person few months ago. I tried alot but could not get any single order on Fiverr. There was so much depression due to failures. Then luckily one day I met a person and his really small tip started to send me the orders. It worked like a magic. But first let’s discuss some most crucial strategies to get your first order on Fiverr. Also Read : Official Fiverr guide to start selling and make money on Fiverr. To get sells on Fiverr, you need to provide best service in your category. It’s a little bit tough but you have to understand your expertise. Don’t think like you can work on many categories or you should make many gigs on different topics. It is really not a good idea to attract your buyers. It is always better to focus on what you can do with expertise. If you know a little bit about a topic but you don’t have experience in it. Don’t try to make a gig for that category. If you really want to work on it, then you need to first invest some time to learn that skill. If you are an expert in graphic Designing and you also love to design websites occasionally. In this case, you should definitely make gigs on graphic designing. It is because you have relevant experience and knowledge about graphics. This way your customers will be always happy with your work. Thus, it is better to create a gig in which you can do your best. Do not try your luck with your hobbies. Fiverr doesn’t depend on luck. You know why people come onto Fiverr. They could also visit some agency but why they love Fiverr? The first and foremost answer for this is price. You can get cheapest digital services on Fiverr. People visit Fiverr because every service starts from $5 here. That’s why it’s most crucial to start selling your service at $5. Sometimes its hard to put efforts only for 5 dollars. Instead of this you could offer some small amount of service for 5 dollars and then charge more for complete service. It is the typical idea most of the sellers use there. After you will start getting regular orders, you can increase your price according to your services. Remember always that you are starting a business on Fiverr. Only customers have been invited by Fiverr. That’s why they charge 20% fee on every order. So keep trying to attract your customers same like any other business. Selling a service on Fiverr specifically depends on the structure of your Gig. Gig is basically a presentation for the buyers to exhibit your portfolio. You need to describe your services and products you are offering them. Tell them price for your services. Please try to avail small amount of service for $5 and then ask for 30 or 40 dollars for complete service. For instance, if you are offering a web development services. You can offer them to buy a single page design for only $5 and then ask as much according to the work. Try to find out how others are making their gigs. Always try to put some real photographs or you can google some of them. Always upload images which are relevant to your work. If you can upload videos, you should give it a try. Videos are much better way to describe your abilities than images or text. 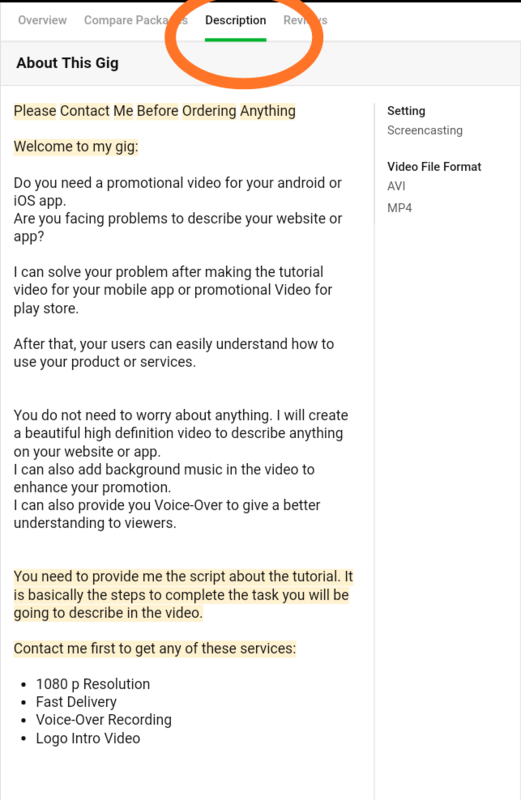 Give all the information in the gig’s description. Also give a notice that you won’t work for any illegal content such as gambling, adult or any illegal activity related content. Read More : 15 jobs you can join on Fiverr. After creation of the gig, you need to promote it on social media. 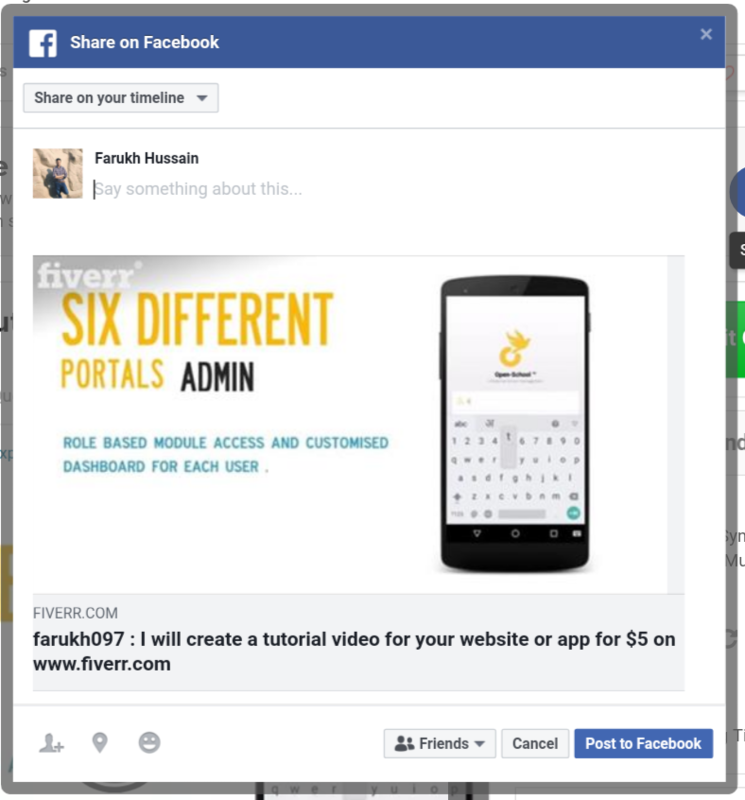 Social Media is an easy way to get sales on Fiverr. Many of you may have thousands of friends on Facebook or Twitter. You can share the gig here to offer your services. Promotion is the best way increase the business for many sellers. However, if you don’t have an audience who are interested to buy digital services. You won’t get any sales. It was same the situation with me. I couldn’t get any sales by this. In addition, it all depends on your friend list and followers. You should always talk to people and make relations to increase your chances to become a successful freelancer. After all freelancing is not that much tricky. You can promote your gig on different social media sites. Most valuable are Fb, Twitter, Google+, Pinterest, Instagram etc. Share the gig on every possible social site. It will increase your chances to get your first order. You should know that Fiverr works on algorithm to rank every gig on Fiverr. If you ever had or have any blog, you should have known the ranking factors on Google. It works same like this. It rank gigs according to their keywords and description. In addition, you would need to find exact keywords for which people are searching Fiverr. How would you find that? You don’t need to think as much. Fiverr is not that much tricky to rank your gigs. 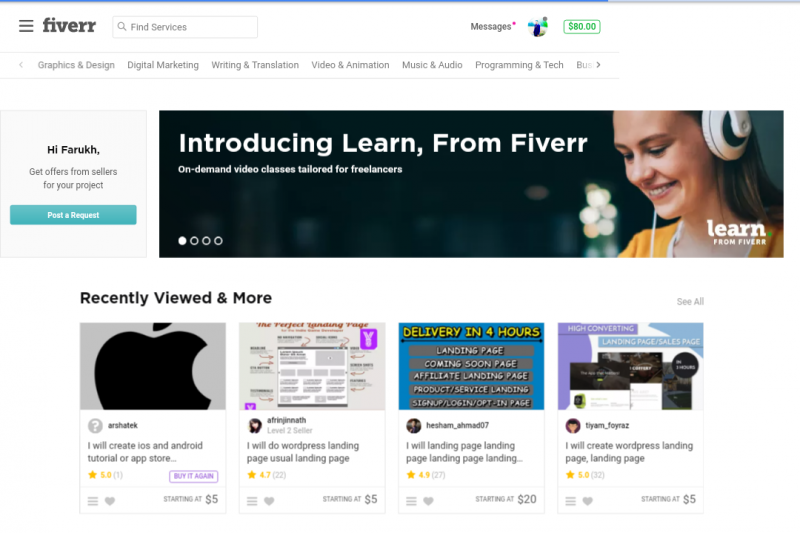 Unlike Google, Fiverr ranks new gigs and old gigs together. They dont always rank high quality old gigs which have hundreds of reviews. Many gigs rank on first page after just creating it. It js all depends on the use of keywords and explanation of your job. What you can do or not should be essentially added in the gig description. Try keep your title short and easy. Viewers should understand your abilities in one go. You should also describe your qualifications and experience in bio. Tell people what are your most expertise and skills. This way you can increase your chances to rank up on the site. Fiverr collects all gigs, shuffle them and put on table. You need to make your gig more valuable so that system can configure it important content. Ranking up on Fiverr is not that much difficult. 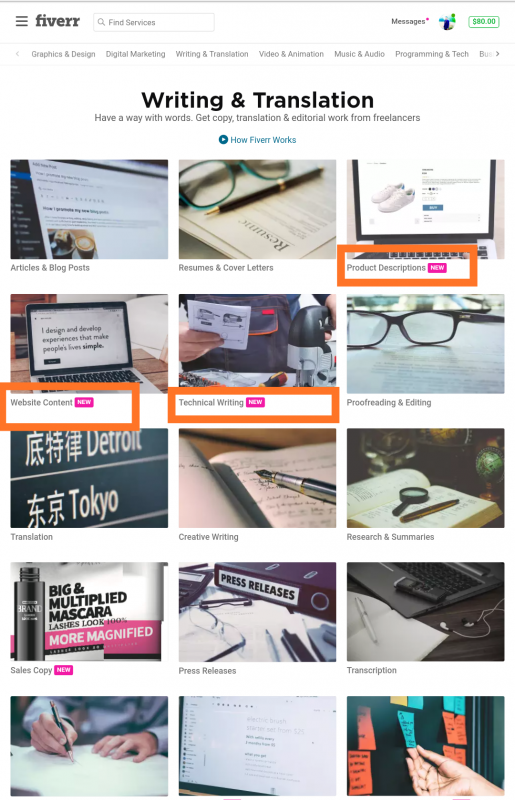 You can also rank your new gigs with using some useful techniques. Firstly, try to think in your mind that if you need that service then how would you search the service in the search bar. It is typically easy to understand and implement. Let’s take an example. Suppose you are offering web development services. So how could a common person search for that? “Create a Website, Build a Website, Website Creation”. Try These keywords by putting in search bar. As you enter the first keyword in search bar, you would see some related search option there. It shows a list of related searches automatically. Try to use these automatically generating keywords in your gig title. Gig title is the main heading of your gig. Put main keywords at first in tour title. Then use these keywords in description many times with synonyms. It will increase the chances to rank your gig on Fiverr search results. Phewww….. So after all this hard working job. Are you still not able to get any sales on Fiverr. It might be the situation for anyone. Fiverr is a competitive platform. This is the reason many new freelancers are not able to get orders on Fiverr. Do you know how old is Fiverr? No I am not telling you. You can Google it. But I can tell you that Fiverr has millions of sellers since many years. Some sellers are 3 years old, some are 5 or some maybe 10 years. This people are getting older on Fiverr and getting many orders. There is no space for newcomers to compete their experience and reviews. Reviews are the key points to attract customers on Fiverr. Try to always get nice reviews and 5 star rating when you will get an order. But where are the orders? The question is how could you beat this competition which has already giant sellers standing in front. Here I would describe you about me personal experience on Fiverr. I got an advice from a person and it really changed my life on Fiverr. After using this tip, I got my first order within a week. And more 5 orders in next days. So how it became true and how you can also use this to earn some extra bucks on Fiverr. This genuine tip is really working for those who are ready to learn new things. It might change your category of job. Maybe you will have to learn new skills to get new order. So let’s talk about this tip. 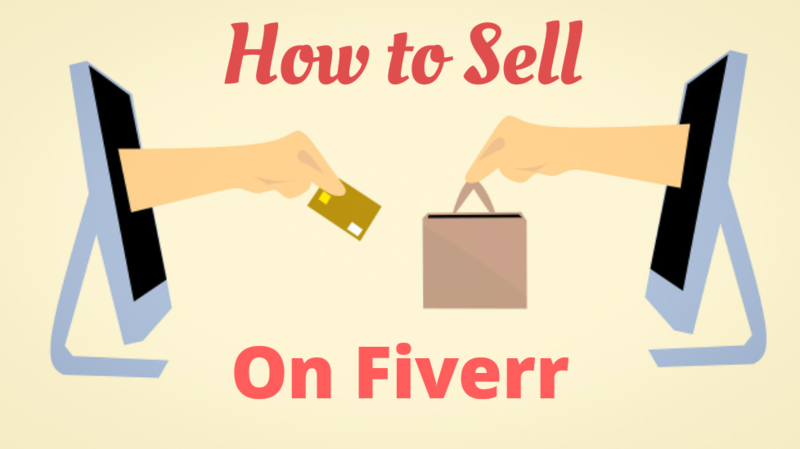 Here is the super natural tip to start selling on Fiverr. As you know, why it is hard to get first order on Fiverr. There are thousand of other sellers on that category have much better reviews and orders than us. That’s why buyers attracts towards them. So basically how can you beat this competition. You need to create a gig in a category which has few hundreds sellers registered. It’s too hard to rank on a category like website development. It is because they have millions of sellers are there. You need to find a category where you can’t find more than a thousand sellers. So you can count the pages and gigs and can get an idea. It is little bit tough way. The best way is to create a new gig in a category which is recently added by Fiverr. Go to Fiverr.com and hover over towards categories. You will see a “new” tag on recently added categories. You need to create a Gig in this category. If you don’t know about this job or work. You need to learn. In Short, I mean to say, try to immediately create a gig in newly launched categories. Usually people don’t have a look at new categories. But many new searches are available there. So now this new category might be unknown for you. But you have to learn new skills to work on this catogary. 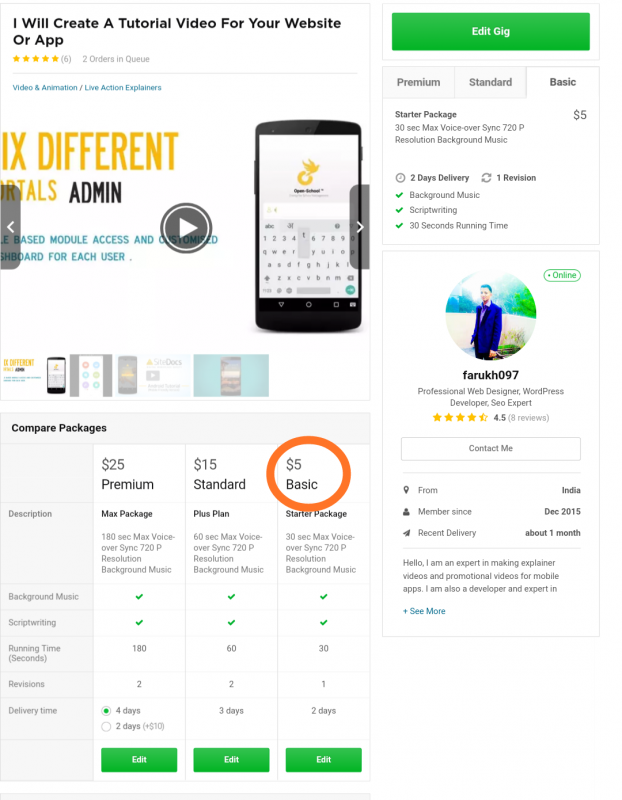 This is the fastest method to get your first order and Start selling on Fiverr. I have used this method and got many new orders one by one. I have made my first $100 in a week. After using this trick, I started getting orders on Fiverr. It is the fastest method to survive on Fiverr. It is too typical but valuable tip. I always thank to that person who shared this tip for all the beginners on Fiverr. This is not an easy task to get sales on Fiverr. After selling your first order, you can get many sales on Fiverr. 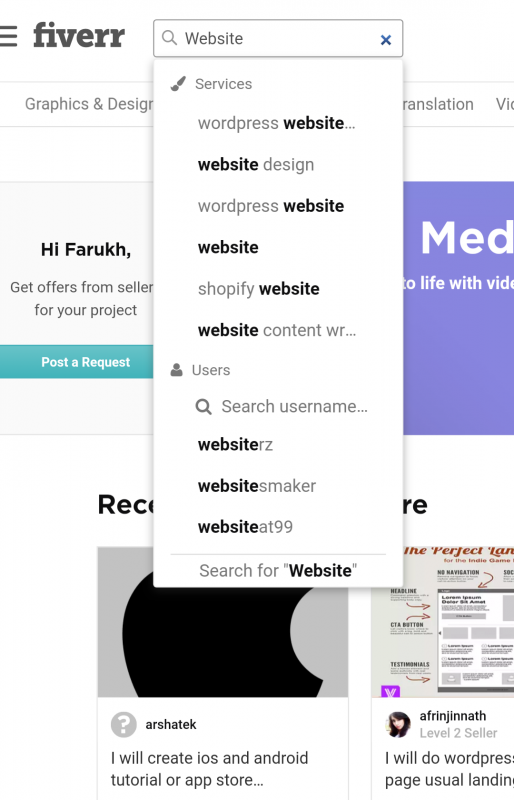 Starting push is really necessary for every new freelancer on Fiverr. You can get many orders as you get first one. There are many strategies to implement in order to get success with Fiverr. However, most useful steps are not easy to find. In other words, you need to develop a professional profile on Fiverr. So that you can gain trust of your buyers. I have already shared my personal experience and strategies with Fiverr. I hope this will help you to start selling on Fiverr. If you feel this post is helpful, don’t shy to share this post to every struggling freelancer on Fiverr. Lastly, keep helping others by sharing your Fiverr tips in comments. 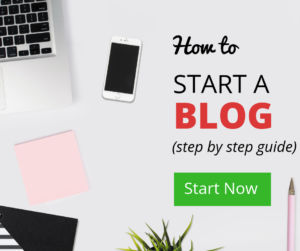 Best Blog Name Generators | Find Super Cool Domain Names for Your New Blog. This is one of the great informative post and wonderful article I come across. very good and positive approach too. Thank you for sharing this wonderful post with great info.